The institute hosted over 100 journalists and technologists at an event designed to prompt new ideas for our Magic Grants. The Tow Center were co-sponsors and Hearst provided the venue. 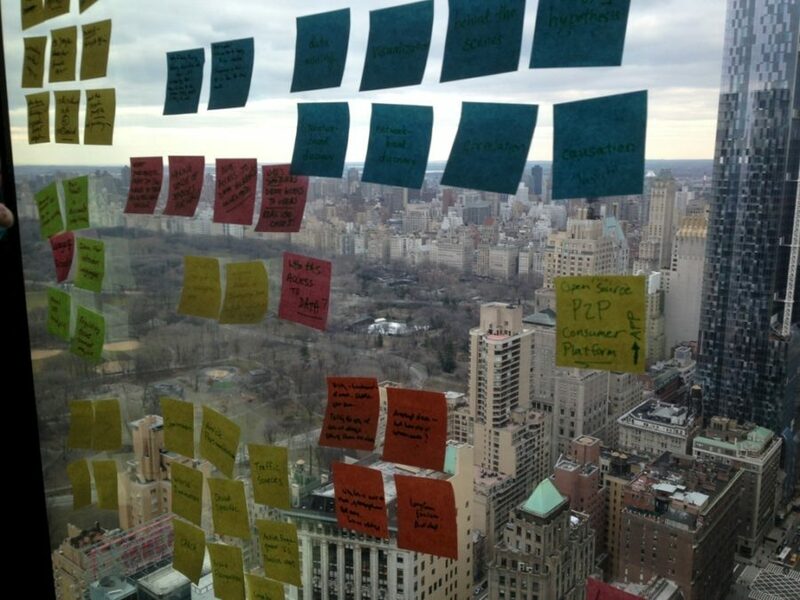 Forty-four floors above Central Park, we held a mini-unconference, organizing around new ideas and unasked questions about how stories are discovered and told. It was an amazing afternoon! Thanks to our of our participants, and to Tony Cherm and Karen Sanborn at Hearst who made it all possible.